The Custom HTML element is a tool for advanced users who wish to use their own HTML code on their website. The result will only be visible on the website after publishing. Please note: If you don't know how to use HTML, think twice about entering unknown code in the Custom HTML field. If a faulty code is used it could affect the design and function of your website, and in worst-case-scenarios cause more serious damage. Mouse over the block to show the panel. 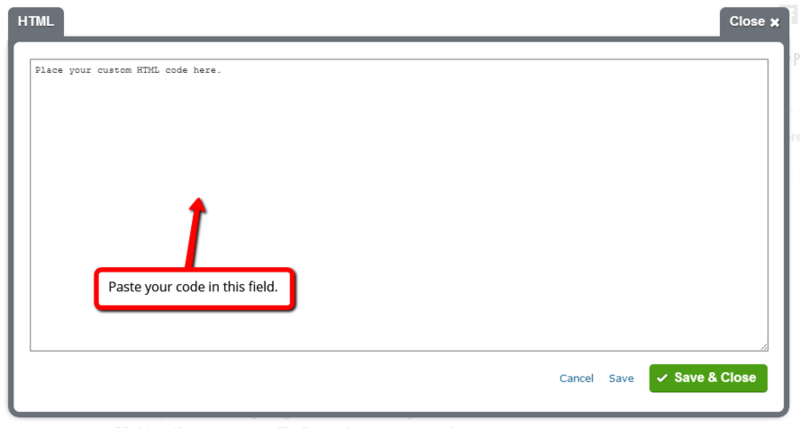 As mentioned - this is where you do not want to enter code that you are not familiar with. In case you know how to use HTML, or have copied the code from a known source, be wary of using this field. 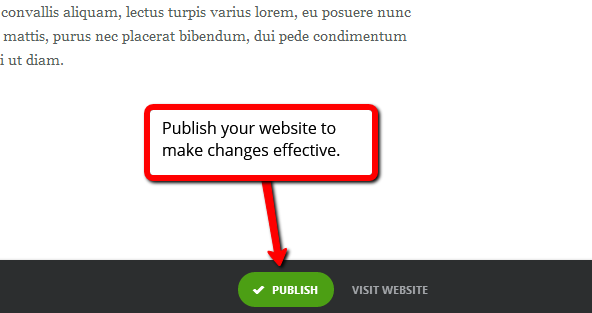 Publish your website to apply your code. 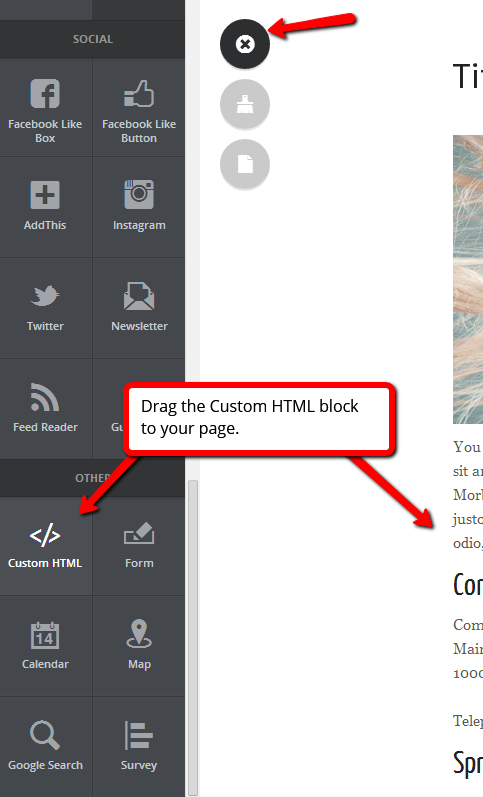 The actual HTML element will only be visible on your published website.